Constructing a Project? | Save It! What is the first thing I should do when considering a construction project? When considering any new construction project in the City of Lancaster, regardless of the addition of new impervious area, you should first contact the Bureau of Planning’s Zoning Officer, Walt Siderio, 717-291-4736, to discuss the details of your project, at which time you will be advised of what approvals are necessary. For any project, commercial or residential, such as additions, alterations or new structures, you may need to get approvals from other City Bureaus including Code Compliance and Inspections, Stormwater, Engineering, Water and Waste Water. What kinds of construction projects require stormwater management or green infrastructure? All activities that involve the alteration or development of land in a manner that may affect stormwater runoff. These are called regulated activities, as defined in the City’s stormwater management ordinance and include all new construction and additions to buildings, garages, sheds, patios, decks, parking pads, walkways and swimming pools that result in an increase in impervious area. Regulated activities also include earth disturbance such as removing ground cover, grading, filling, excavation or replacing existing impervious surface with new impervious surface and require City approvals related to storm water management. What is impervious Surface or impervious Area? Impervious surfaces prevent or limit the infiltration of water into the ground. Any structure, building, parking area, driveway, road, street, sidewalk, patio, deck, and any area of concrete, asphalt, pavement, compacted gravel, packed stone, stone, brick, tile, swimming pool, or artificial turf, and highly compacted soil are considered impervious surfaces if they prevent or limit infiltration. Impervious surfaces also include any area used by motor vehicles or heavy commercial equipment, regardless of surface type or material, including any street, driveway, or parking area. All projects that add impervious surface or create an earth disturbance require a Stormwater management permit. After discussing your project with the City’s Zoning Officer, you will need to complete a Stormwater management permit. Before you start a permit, contact the Stormwater Bureau to determine if your project is a large project, small project or very small project. For small and very small projects you must have a site plan of your property showing existing and proposed improvements. The plans should be drawn as accurately as possible, with dimensions of all impervious surfaces and area calculations clearly shown. See the table below to determine if your projects is Small or Very Small. If it is not a small or very small project, see large projects described on the next page. 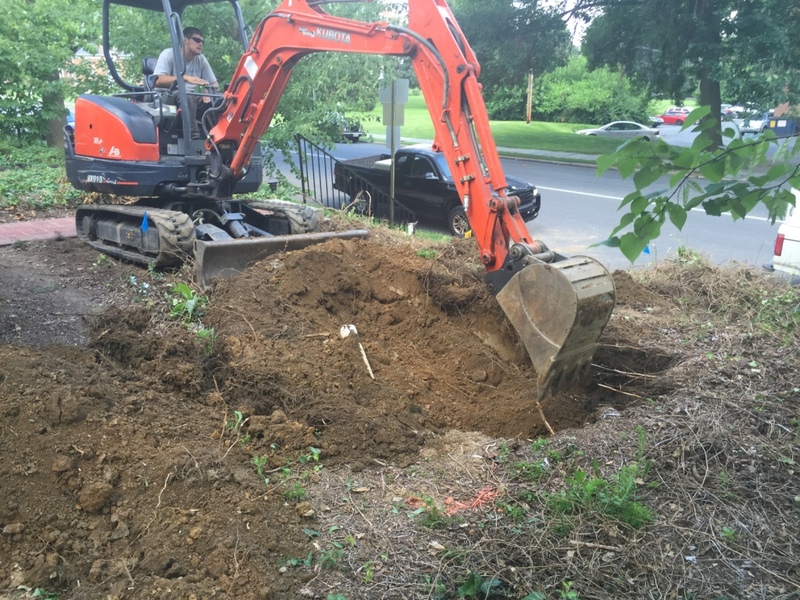 Small Projects create additional impervious areas of 1,000 sq. ft. or less or involve removal of ground cover, grading, filling or excavation of an area less than 5,000 sq. ft. and do not change existing stormwater facilities or watercourses. These would include new or expanded patios and decks, small garages and sheds, off-street parking spaces, swimming pools and similar improvements. Very small projects add a negligible amount of impervious coverage, less than or equal to 100 square feet. Very small projects include doghouses; pads for trash receptacles, and outdoor grills; lawn ornaments and other non-vegetative landscape elements. * E&S controls are required for all regulated activities; however, City review and approval is not required for small projects. ** For purposes of this policy, SWM Site Plan refers to the site plan requirements for Small Projects. *** Management of 1-inch volume may be demonstrated through impervious area removal. You will also need a site plan for large projects. A large plan must be prepared by a qualified professional such as a Professional Engineer (PE), Professional Land Survey (PLS), Professional Geologist (PG) or a Registered Landscape Architect (RLA), licensed to work in Pennsylvania. A Large Project Site Plan consists of a narrative, calculations, maps, plans and supplemental information as provided in Article 5 of the City’s Stormwater Management Ordinance. When a large project is part of a subdivision or land development, the Site Plan will be submitted with and form an integral part of the plans required under the City Subdivision and Land Development Ordinance (Chapter 265 in the City Code). There is a $30 permit review fee for small and large projects. There is no fee for very small projects. A financial security for stormwater related improvements is required for all projects except those defined as Very Small Projects. The amount of financial security required is based on the cost estimate for labor and materials. Cost estimates must be provided by Applicants with the permit application. If you are unsure how to prepare a cost estimate, contact the Stormwater Bureau, staff there will help you through the permitting process. How do I determine how much stormwater I need to manage? The first step is to determine how many square feet of new impervious surface is being created. 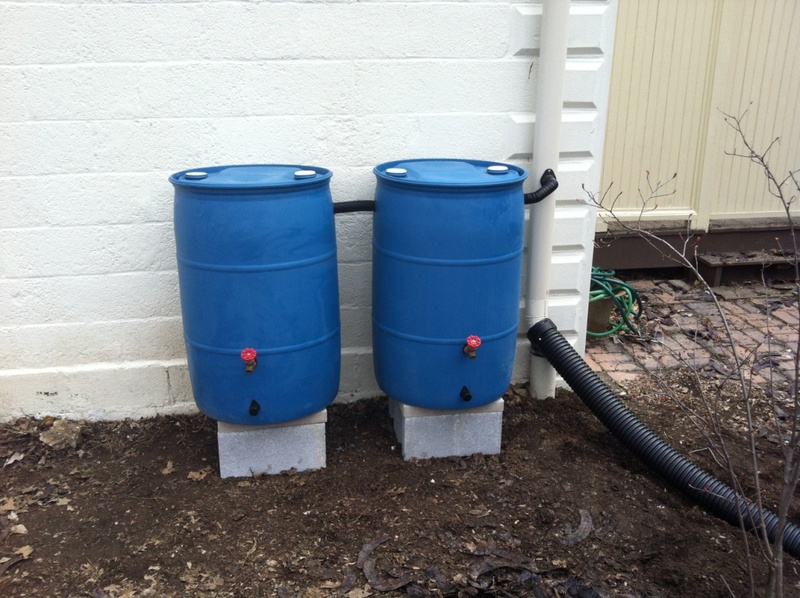 The online Small Project Application contains a fillable form and easy to follow instructions that automatically calculates the volume of stormwater you will need to manage. To see examples of local small projects, both residential and commercial projects. go to http://www.saveitlancaster.com/local-projects/. Or you can see factsheets about different stormwater best management practices (BMPs), also known as Green Infrastructure at http://www.saveitlancaster.com/resources/. What are some other ways to reduce stormwater runoff? Go to http://www.saveitlancaster.com/what-can-i-do/ to learn what else you can do. We also encourage you to consider how the planting of and caring for trees can further reduce the impacts of storm water runoff and provide other benefits to your property and the community. To learn more what the City is doing and to get involved with tree planting in your neighborhood, check out the Tree Pages on City’s website. For more information about stormwater and Green Infrastructure, and for assistance with completing a stormwater permit, please contact the Stormwater Bureau.